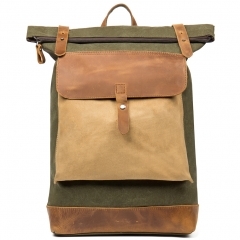 [MATERIAL] Top grain cowhide leather, durable fabric lining with light gold hardware. 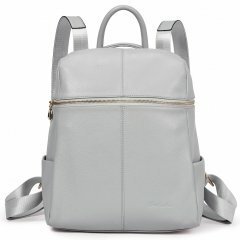 [DIMENSION] (L)11" x (W)5.11" x (H)11.41" inch , weight is about 1.69 lb (0.78 kg). 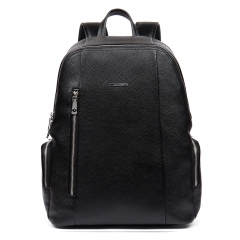 [STRUCTURE] The leather backpack contains 1 main compartment + 1 inner zipper pocket + 1 cell phone pocket + 1 slot pocket. 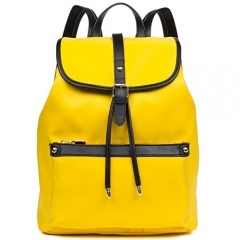 Comfortably holds 11 inch laptop other small things, perfect to use as daily bag for school, working, dating or traveling. 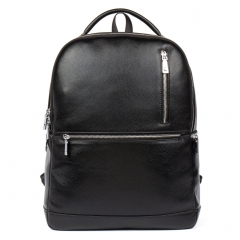 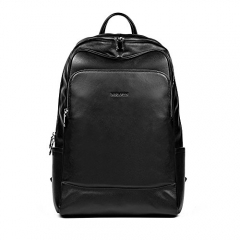 [STYLISH] You will love this classic cowhide leather backpack for your vacation or school life . 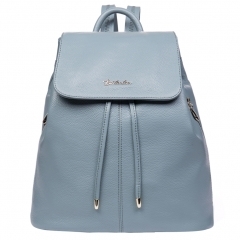 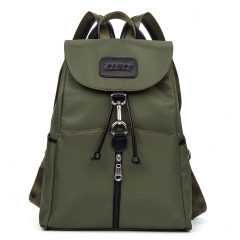 This handy backpack is a must for the stylish woman on the go.